Working hard to give you more! Buyers and Sellers love it! I’m 48 and I've been a Coldwell Banker real estate broker and agent in North Lake Tahoe since 1999. From quaint cabins to North Lake Tahoe lakefront homes, I'm eager to work, I appreciate each opportunity, and I'm honest and frank with my real estate buyers and sellers. I'm well respected in the Lake Tahoe and Truckee communities because I do right by people and I excel when egos make situations difficult. Regardless of your price point, I'm dependable and I appreciate the business and the opportunity. From Tahoe Donner cabins to North Lake Tahoe lakefront real estate and the new luxury home developments in Truckee, I know the real estate markets well and I’m eager to earn your trust and your friendship. Email and say hello and let me know how I can be of help. 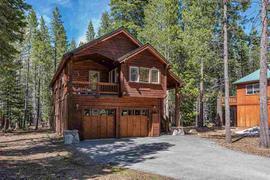 North Lake Tahoe and Truckee homes for sale. Determined to be the best resource for Truckee and North Lake Tahoe homes for sale, I studied the weaknesses of real estate sites like Zillow and the typical Tahoe agent and broker IDX websites. We made these weaknesses our strength. We had CBLaketahoe.com custom built from the ground up to be the best source for Lake Tahoe and Truckee real estate information. We have full access to the local MLS enabling us to customize everything on our website. From stats on even the smallest subdivisions to a lakefront property's history in the MLS, more data and more insights help our clients make better decisions. From Lake Tahoe lakefront homes to quaint cabins. Home buyers want the straight scoop...the good, the bad, and the ugly! 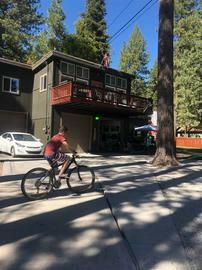 The Lake Tahoe / Truckee real estate market is definitely unique. We are a second home / vacation market with the majority of families having their primary residence in the San Francisco Bay Area. Many homeowners choose to rent their Tahoe home when they’re not using the property. A modest cabin sells for roughly $500,000 with new construction priced closer to or well above $1,000,000 depending on the neighborhood and the community amenities. Lakefront homes start at $3,000,000 and it's not uncommon to see lakefront estates over $20,000,000. There can be huge differences in value within each subdivision and even along each street. 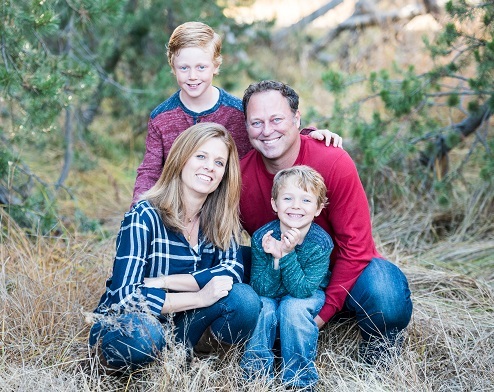 I've been a North Lake Tahoe real estate agent and broker here since 1999 and I pride myself in providing honest insights and doing right by my clients. Sellers want more exposure to buyers! We built CBLakeTahoe.com knowing that most agents simply will not put in the effort to create a custom web application. Knowing that sites like Zillow and the "pick a color" IDX websites that most agents use, leave huge gaps in the available information for buyers. 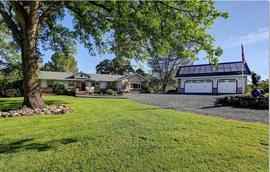 Property comments are written by the agent that represents the seller. Photos of the home only show it's best qualities. Buyers want to hear (as Paul Harvey said) "the rest of the story". How close is this home to the neighbors? How deep is the water at the end of the pier? Can I walk or ride from this home to any trails? 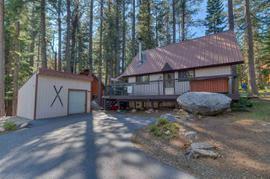 We have the ability to add our comments to the Truckee and North Tahoe MLS listings. We can post additional photos and videos showing the good, the bad, and the ugly for each property. Condominium living has many benefits for out of area owners. 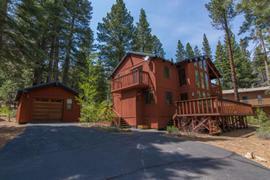 There are many options in the different complexes around Lake Tahoe and Truckee. Lakefront complexes allow access to the beaches of Lake Tahoe and Donner Lake. Most condominium complexes have on-site managers and offer pools, tennis courts, b-b-q pits and spas. Many homeowners find that ownership in a condo complex is comforting knowing you can lock the door, leave and have your property looked after. In general the HOA fees cover exterior maintenance, snow removal, garbage pickup, maintenance of the grounds and common area insurance. All complexes differ in what they cover so check the CCR’s. Vacant land is becoming more and more scarce. Finding acreage is every harder. When looking for a vacant parcel around the Lake Tahoe Basin, it is important to first know if the parcel is able to be improved upon / built on. In the early 70’s, the TRPA (Tahoe Regional Planning Agency) used a system called IPES (Individual Parcel Evaluation System) to score each vacant parcel. There had to be a score of 726 to be able to build on it. Recently, the IPES score in 3 of the counties around Lake Tahoe have been reduced to 1, so thankfully we don’t have to worry about IPES scores in El Dorado, Washoe and Douglas counties. Placer County still has the 726 IPES requirement. There are many areas that provide a woodsy / Tahoe feel and offer outdoor fun throughout the year. 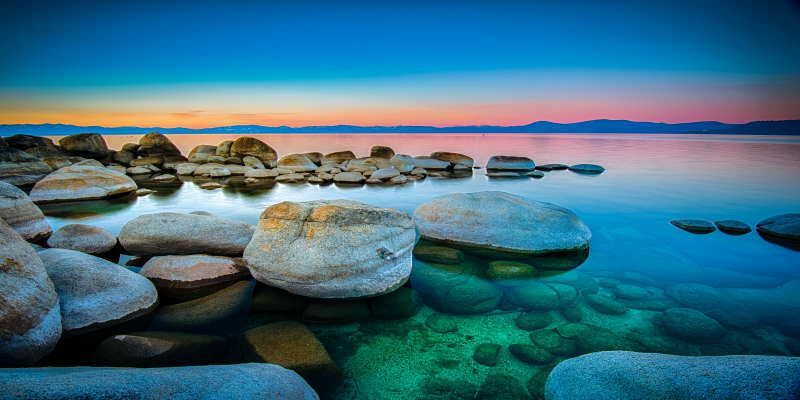 Three of the featured communities within North Lake Tahoe are Dollar Point, Sunnyside and Chambers Landing because they provide homeowners with lakefront access and excellent amenities. Dollar Point offers a large sandy beach with a pier and the possibility of having a buoy / mooring for a boat. There are five tennis courts, a pool, b-b-q pits, bocce ball court and a volleyball court on the beach. 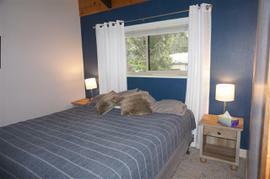 This is a great North Shore location being 1 mile from Tahoe City and close to many ski resorts and golf courses. The family can take the bike path into Tahoe City for a fun day of activities. Sunnyside is approx 2 miles south of Tahoe City on the west shore and offers approx 1400 feet of lake frontage, 2 piers, picnic tables and b-b-q pits, horseshoe pits and a half court basketball court. The lakefront area is gated and there are restrooms available. This is a very desirable area on the west shore due to the proximity to Tahoe City, hiking and biking trails and 3 ski resorts. 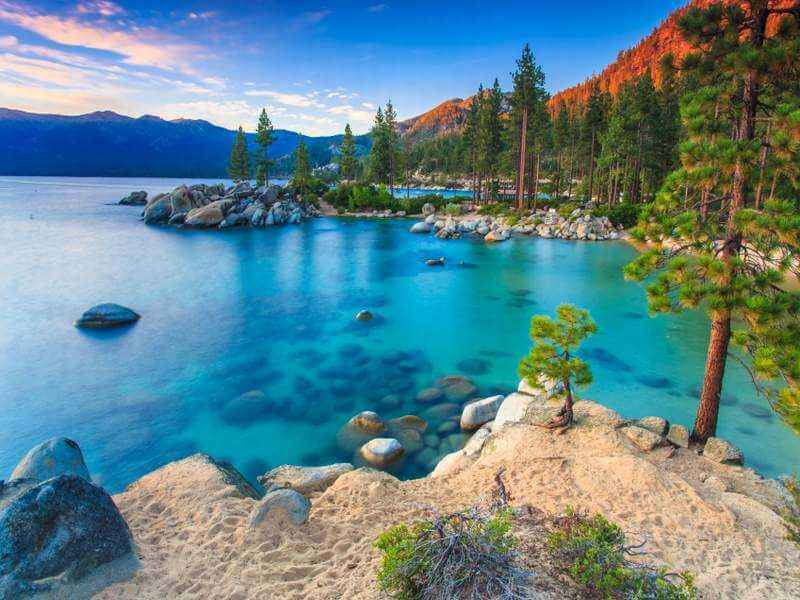 Chambers Landing is located approximately 8 miles south of Tahoe City and and 1 mile from Homewood Mt Resort. There is a large pier which allows plenty of room for boat to pull up in the summertime, a large beach, pool, tennis courts and the infamous and historic Chambers Bar. There are many other “pockets” in the Tahoe and Truckee areas that are great for different reasons. Feel free to reach out with your goals and needs and we’ll help you find a home that matches your lifestyle. 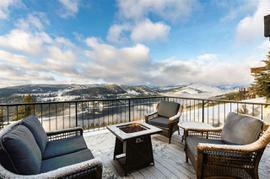 For the skiers and riders, owning a home near a ski area has its allure. Northstar Resort is great for families because of the terrain, the village and the amenities. The Ritz-Carlton is located on the slopes of Northstar. Squaw Valley Ski Resort has incredible terrain for advanced to expert skiers. They also have a great area for beginners on the top of the mountain which has great views of the Sierras. There are many golf course communities in the Tahoe Region, most of which are gated, but you can also find homes and condominiums on public courses that rival those gated courses. Martis Camp is the premier golf course community with unique amenities such as The Big Red Barn, an 18 hole putting course and a private chair lift to the top of Northstar. There are a combination of public and private courses in the surrounding areas of North Lake Tahoe and Truckee. 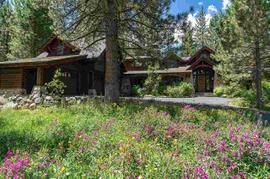 The gated communities are Martis Camp, Lahontan and Schaffer’s Mill. Golf courses that rival these private course are Coyote Moon, Old Greenwood, Grays Crossing and the Resort at Squaw Creek. Old Brockway is a great nine hole course that meanders through the woods with views of Lake Tahoe coming up the 8th and 9th fairways. It is difficult finding a ski in / ski out property for sale at any of the ski resorts in the North Tahoe region. With that said, you’ll pay a hefty price if you’d like a nice home on the mountain side. Northstar has the premier ski in / ski out developments called Northstar Mountainside. Another option is a unit in a condominium / townhome complex. The villages at Squaw and Northstar are a short walk to the lifts and they have restaurants and shops to keep you busy during and after a day of skiing. Squaw Valley also has The Resort at Squaw Creek which has its own lift to Squaw Valley. The homesites at Granite Chief are the best option for ski in / ski out home ownership on the mountainside of Squaw Valley Resort. Should we look for the ideal location even if it means tearing down that old cabin? We are coming closer and closer to the point that smaller homes and cabins will be purchased to be torn down. With vacant land becoming scarce, the best option for some is to find the location they are most interested in and purchase a “teardown” and build a custom home specific to their needs. Since there are still cabins in the area that were built in the 40’s, 50’s and 60’s, these are either being completely remodeled or torn down to make way for a new home. Maybe we should purchase a home we can remodel? A great way to get into the North Lake Tahoe or Truckee real estate market is to find a home that needs some cosmetic work or possibly a bit more depending on the bones of the structure and the layout. Most home buyers choose to remodel kitchens and bathrooms. For those a bit more savvy or energetic, a few walls may be moved or removed or an addition or garage may be added. Additions and garages are not always a possibility because of the coverage issues in the Tahoe Basin. New construction sounds great but we need to think about furnishing the property. There are many spec builders in the area offering their experience and expertise in knowing the local codes and working with the local sub-contractors. Purchasing a new home allows one to personalize colors, furnishings, appliances, etc. Having the heavy lifting out of the way makes it a great experience for second home ownership. Research, research, research. We provide a great amount of information to give you a good start on knowing the different areas and differents markets. The first step would be to understand how you want to use the property. Skiers? Water sports? Hikers? Bikers? Would you like amenities? There are many great activities to enjoy in the Tahoe area throughout the year. Once you’ve decided how you will use your home, the specific location may make a big difference. If you do not have a location in mind, we can show you the pros and cons of all the micro neighborhoods which will help make your decision easier about where you would like purchase. The upkeep of a second home can seem daunting. From removing pine needles from your roof, to checking your furnace, to sealing or painting your home, it’s hard to find someone reliable and trustworthy. We work with the local contractors to coordinate the seasonal “to-do’s” and can help with the stress of owning a second home. We also build relationships with second homeowners by offering to check on their homes on a weekly or monthly basis or what best meets their needs. Selling a property can be met with mixed emotions. You may have emotional ties, you’d like your home to sell for the highest price, you’d like your home to sell quickly and moving can be a hassle. Pricing your property in the current day market is important to maximize interest and find the buyer that's best suited for your home. There are a lot of factors that go into finding the value of a home in the North Tahoe Truckee area. Which community is it located in? Are there mountain or lake views? Size of the home? Size of the lot.? Condition of the home? Is it in an HOA? Does it sit close to a street or highway? These are some of the basic things to consider. We look at a property through the buyer’s eyes and assess all factors that may help or hurt the value of your home. Reach out when you're ready to talk. 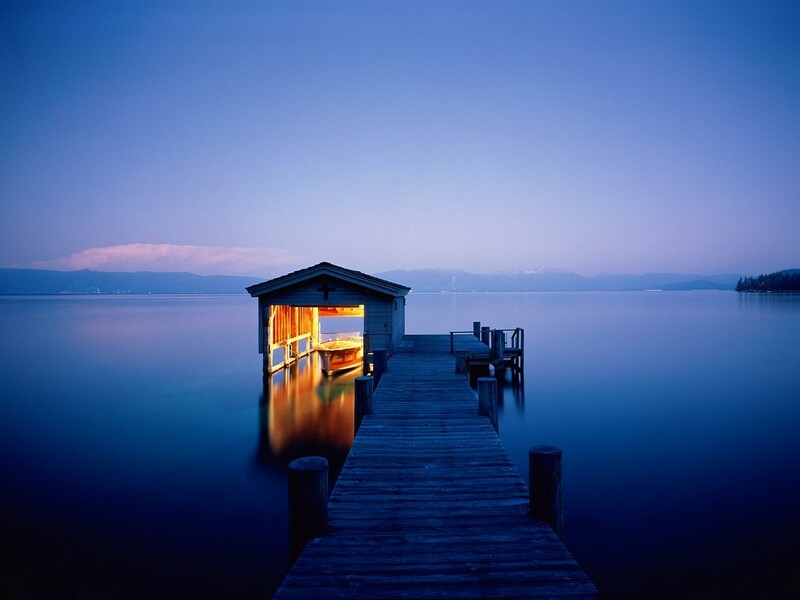 Our team of North Lake Tahoe and Truckee real estate professionals are eager to earn your trust and your business. We love our community and we love helping new families find that perfect vacation home. If you've decided it's time to sell your North Tahoe home, our experience, the power of Coldwell Banker's marketing, and our ethics and integrity make us unique in the local real estate market. Text, email, or call, we're eager to help when you're ready. We’ve designed our site from the ground up to offer unique features. From the custom search criteria, the 100s of property photos (all angles/views), layouts and descriptions, measurements of key rooms, our comments and opinions, neighborhood market stats and recent sales activity, to mapping the neighborhood points of interest (distance to trailheads, beaches..) and even some aerial videos of these beautiful spots. We hope you enjoy the site. An indepth look at the Lake Tahoe and Truckee real estate market. Read more about the great people, places, and events in the Tahoe Truckee region. From neighborhood trailheads to our favorite local merchants, we hope you enjoy our posts and our recommendations.